Arthrinium mold is a category of mold that grows in soil and plants. Though this mold type is common outdoors, you can also find it indoors if the conditions are right. Known to be potentially allergenic, arthrinium is capable of producing mycotoxins and can induce health problems such as fever, asthma, and allergies. 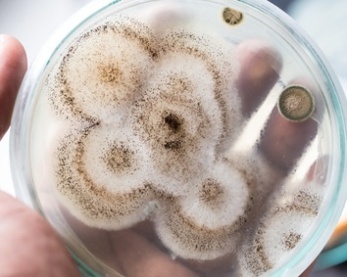 This mold type grows rapidly, and its colonies are cottony to woolly, white with brown spots on the exterior. If you spot this mold or any other type of mold in your home, it is best to take immediate action before it spreads and becomes an expensive and hazardous problem. Whether it's the fuzzy white clusters on your attic floor or slimy black spots in your bathroom, the presence of mold in your house can be detrimental to both your health and your wallet. Whether or not you are allergic to mold, extended exposure to it can result in an array of health troubles, including eye irritation, skin allergies, sore throat, and lung issues. People who are especially sensitive to the effects of mold include children and infants, senior citizens, people with weak immune systems, and people with chronic lung disease. 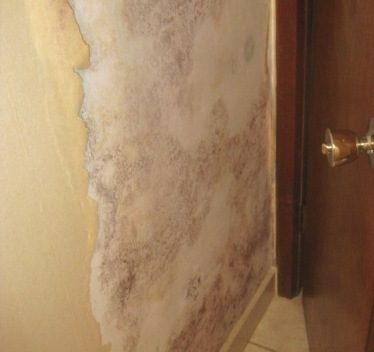 So, what exactly is mold? Mold is a kind of fungus that comprises small organisms that you can find both indoors and outdoors. Thriving on moisture and reproducing through lightweight airborne spores, mold is virtually unavoidable. When you encounter mold in small amounts, it is generally harmless. However, when mold establishes a colony in your home and starts multiplying, it can turn into a major problem. The best course of action when you face mold exposure symptoms is to remove yourself from the environment right away. Avoid bringing any items with you that could be moldy, and see your doctor as soon as possible. Ask your doctor if it is safe for you to return to your home, or if you should wait until the mold has been removed. If there is any seepage or leaks present in your property, fix them as soon as possible. If water is entering your house from an external source due to poor drainage, you should have a landscaper regrade the property. You should also have a waterproofing service come in to inspect your walls and to repair any damage. Some other things you can do to prevent water from getting into you home include improving groundwater drainage by removing vegetation and leaves from around the foundation and cleaning out rain gutters on a frequent basis. In your home, don’t let clutter build up, especially in rooms below ground level that are prone to moisture. Dispose old newspapers, books and storage boxes. While these tips will help, your health issues will not improve until the mold is removed from your home. Avoid Health Risks: Exposure to mold, especially without the right tools and protective gear, can be harmful and cause a number of problems due to the inhalation of mold spores and mycotoxins. Expert mold removal services have all the necessary tools and equipment to protect themselves when removing it. A Thorough Cleaning: Sure, you can watch YouTube tutorials about mold removal or read helpful articles, but unless you have the expertise and the right equipment, there is no guarantee that the mold will not come back. In addition, mold is often not visible, and can thus be missed easily. For example, mold can be inside your walls, under carpets, or in your subfloors. A professional mold removal company knows how to find all the mold in your home, and knows the correct removal protocols to make sure it is all safely removed. Mitigate the Spread of Mold: The cleanup process will release some mold spores into the air and spread them across the house. If you are performing do-it-yourself procedures, you could actually end up spreading the mold even more. Professionals set up containment to prevent the mold from spreading. They establish a negative air system. They collect any mold spores in a HEPA air cleaner, or blow them outside. If any spores are left behind they can start to grow and spread again, especially if they enter your HVAC system. Mold cleaning experts know how to prevent the spread of mold spores. Moreover, they will let you know if you require any additional services, like duct cleaning, or AC inspection services. Unearth the Source: Removing mold will not help in the long run if you are unaware of the root cause. Expert mold services will do more than just eliminate the existing mold source; they determine the cause of your mold problem, and repair the issues so that the mold does not return. If you are facing a mold issue, you can follow this link to get a list of mold removal experts in your area that provide free home inspections and estimates for removal. You have nothing to lose, and if you are considering removing the mold yourself, an experts opinion will only help you.